Tired of never being able to play a proper Nightblade or Sneak Mage? Even with silenced spells, the light emitted from your hands/spells keeps giving you away? No longer!! 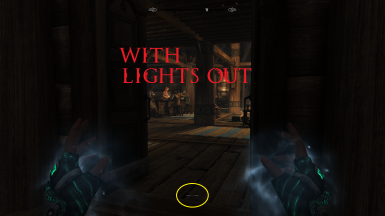 Holding and Casting spells no longer emits light with LIGHTS OUT! If you'd like permissions to use/change/alter this mod please contact me directly. If you leave a comment in the Posts section and I have not responded within 30 days you are welcome to open permissions on my work so long as it isn't for profit (being sold). If you want to upload my work on another platform you may do so as long as you link back to my OMEGA Nexus page and credit me as the author. Listed as "Skeleton Jack (EverWatch on Nexus)". Serious thank you's to EnaiSiaion, G_ka, jonnyWang33, sabrio204, Nassens, matortheeternal and anyone else I missed who helped me on the path that lead to this mod. The creation of my mod LIGHTS OFF lead to it's nemesis, LIGHTS ON. Edited the fomod installer for NMM users. The mod has been entirely rebuilt from the ground up and is essentially a v2.0 now. Magic Effects are no longer used/modified/edited. Description page has been updated. Images I did not have permission to use have been removed from the fomod installer, or from the zip/rar file. Sorry for the inconvenience. No change to the mod itself has been made. 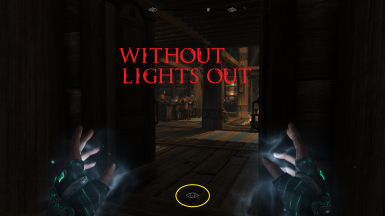 LIGHTS OUT Apocalypse added to FOMOD installer. LIGHTS OUT Apocalypse and Ordinator added to FOMOD installer. You decided you wanted to try a Stealth run, but you were tired of the Sneak Archer and Sneak Dagger builds. A Sneak Mage is what you're craving! Whether that's a Night Blade or simply a shadowy caster lurking in the shadows, your fondest dreams (or nightmares...) are now here! No longer will you specialize in hiding your magic only to forget to douse the lights for some unknown reason. It's time for LIGHTS OUT!! What does LIGHTS OUT do? It does what it says. It's Boss like that! Any spell you hold in your hand will no longer emit light. Pretty simple eh? Nice! But pictures are still worth a thousand words so look above to see how sneaking with 100 skill in Sneak differs when you don't have this mod. And this is while using Realistic AI Detection SE (better sneaking) Medium. Only modifies the "Light" category in mods. Not "Spells", "Magic Effects", or anything else. Spells will no longer emit light (Fade, Radius, and Near Clip are reduced to 0). Removes almost all Light flags (such as Dynamic, Flicker, etc...) so that spells don't interfere/interact with lighting limits. Includes alternative options to support Ordinator﻿, Apocalypse﻿, Sacrosanct﻿, and Shadow Spell Package﻿. Compatible with Spell Mods that use vanilla Hand Light values. I tried valiantly to make this work through the Perk system. But I've come to the conclusion that it's impossible unless you were to somehow do so through both SKSE and scripts. Both of which are above my pay grade. So sorry for any dashed hopes, but it's simply not possible to make this turn on via a Perk purchase. Now whenever you hold a spell in your hand, or cast a spell, no light will be emitted. It's that simple and straight forward. Holding spells and casting spells will no longer act like you're holding a torch for sneak checks versus mobs. Simple and efficient. Note that this makes no changes to the FX of the spell that the player sees. It only edits the values which make spells act as a light source for sneak checks. Spells that emit light after casting the spell will continue to do so (such as Mage Light). So a projectile that emits light will still emit light. LIGHTS OUT only makes changes to you holding the spell in your hand or casting the spell, and nothing else. Once you've cast the spell, if the resulting effect emits light it will continue to do so. Smart players can use this to their advantage by casting spells away from themselves to draw the attention of mobs like many sneak archers do with the sounds of arrows impacting on walls. Hey Jack, how do I have an awesome Sneak run? Go check out Realistic AI Detection SE (better sneaking). It's mandatory for me on any and all Sneak play throughs. I highly recommend it. I personally use the Medium setting, but YMMV. 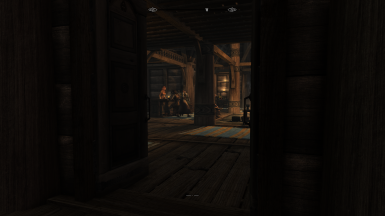 This can have conflicts with any mod that edits "Light" values such as Realistic Lighting Overhaul or ELFX. Load Lights Off after mods like these. Lights Off will not work Lights On, those 2 mods do entirely opposite things.